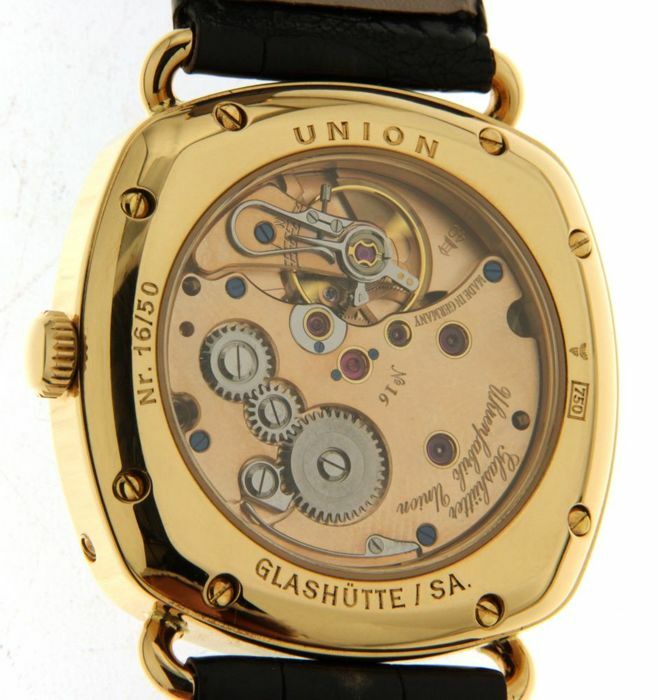 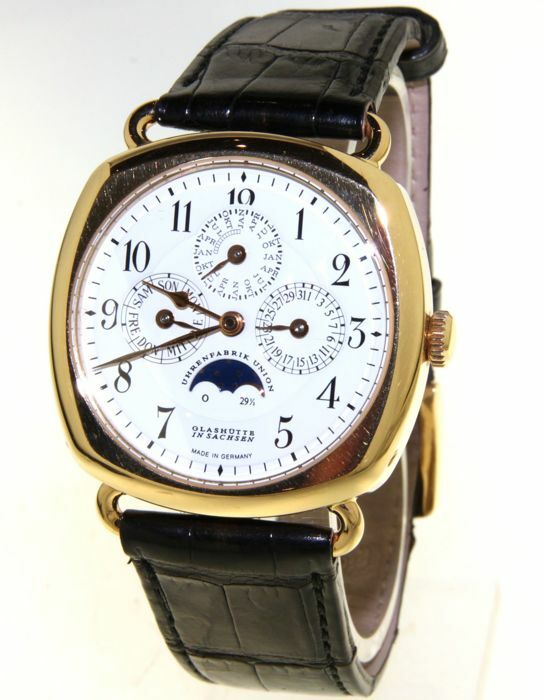 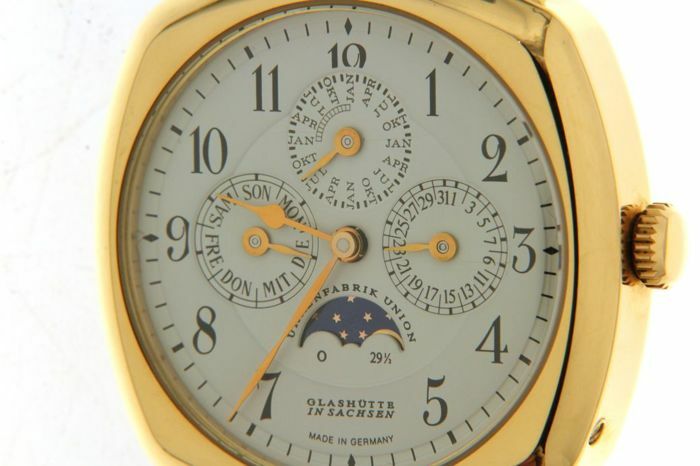 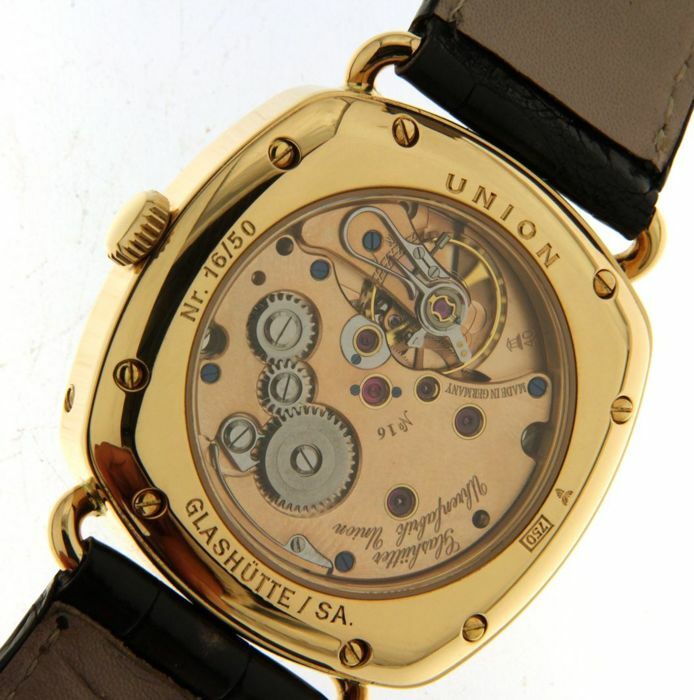 Magnificent Union Glashutte watch in perfect condition!! 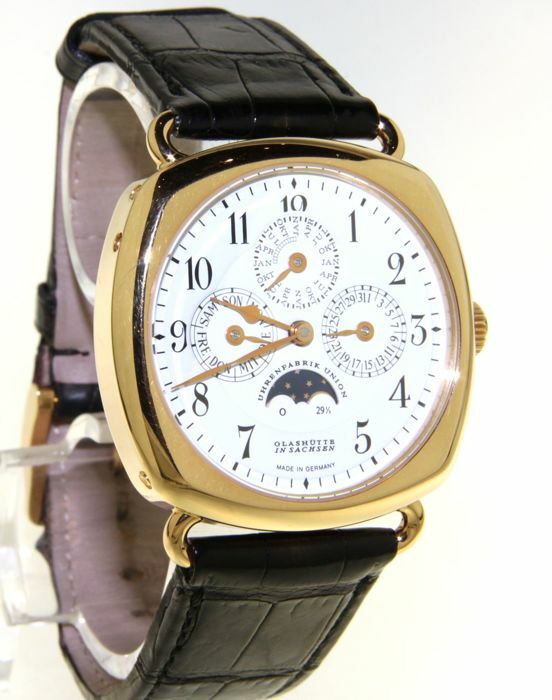 Functions : Hours , minutes , seconds , perpetual calendar with day , date and moonface. 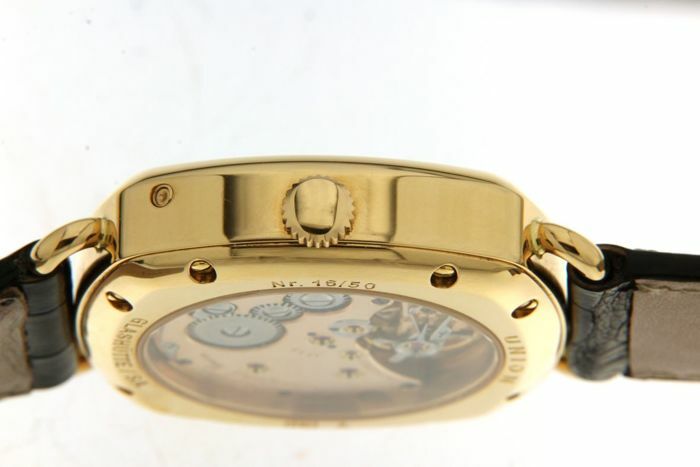 Case : 18kt pink gold , sapphire glass 40.3mm , thickness 11.2mm . 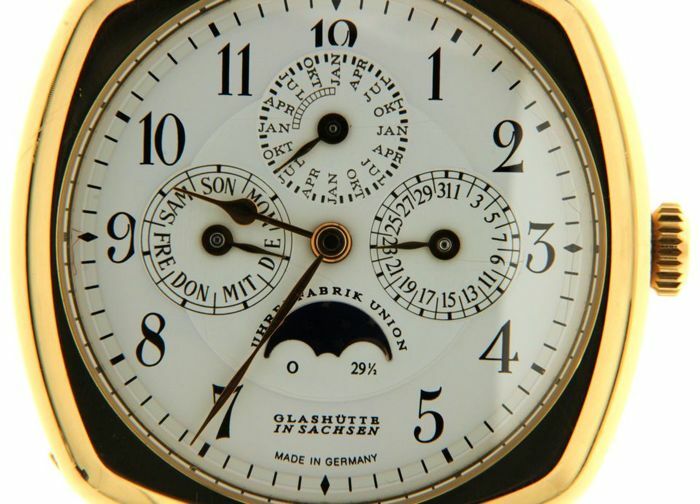 Dial : White dial with black Arabic numerals and golden hands. 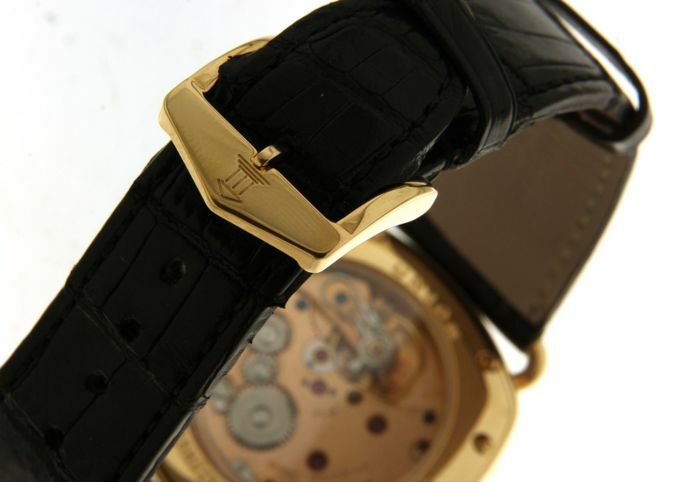 Strap: Black leather strap with 18 kt pink golden original buckle .20 cm wide. 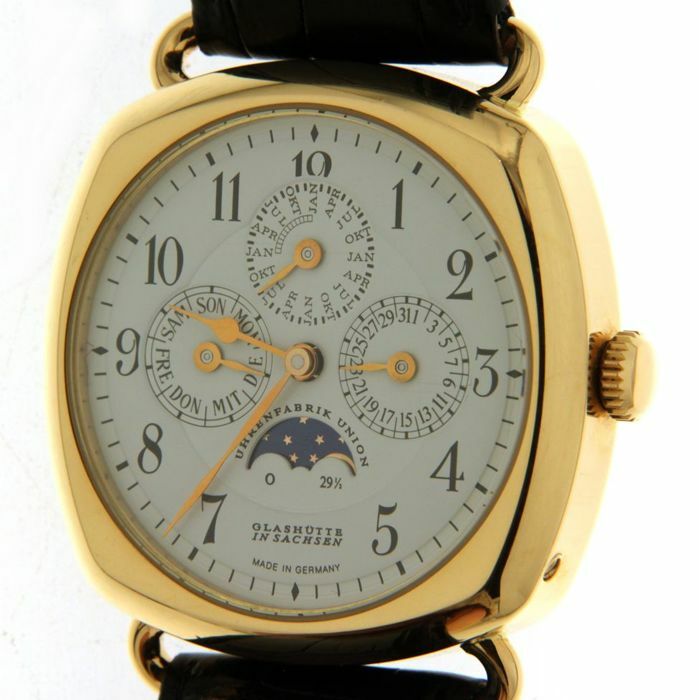 weight: 97 grams total weight .